Our products include biological water recycling, as well as GDS Self Wash Bay car wash. Recognized highly efficient water purification for car washes, which ensures environmentally approved emission. Requires little space indoors, and the smallest need of ground installations. 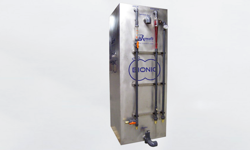 GDS self wash units of quality beyond the ordinary. Stainless steel and aluminum are the core of the plant. This, together with high-quality technical components, provide many carefree washing seasons. Biological water recycling, built after the biofilm method, and requires no chemical additives. The purification process is based on the biodegradable components in the water, for example chemicals and dirt, used as a nutrient for micro-organisms in the plant, and which is then converted to carbon dioxide. Non-biodegradable components, such as heavy metals, taken care of by micro-organisms, and then moved from the wastewater to the plant's sludge trap, and sediment. The plant removes particles down to 5 micron. CS model is a compact solution that requires no more work during installation. Wash unit extraordinary, with materials such as stainless steel, aluminum and glass. Everything for the installation to counteract the external influences and tear of the elements. Comes with complete technical room docked to the facility. 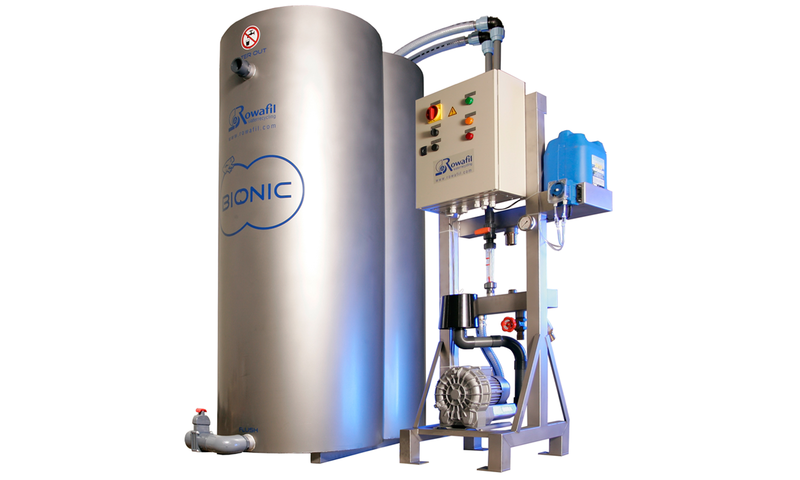 All components are of the highest quality, ensuring happy washing customers for many years. Requires minimal maintenance. 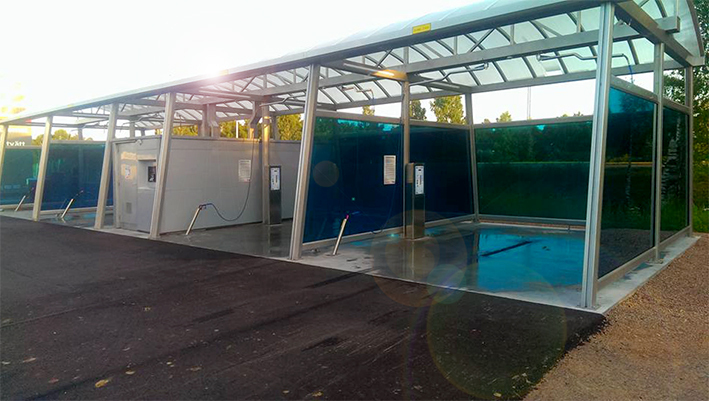 Stained glass facades provide free vision, which creates an additional security for the person using the wash bay. On-line monitoring technology via the web based application. Choose from two to six booths.